Our wedding videography style at Jumping Spider is natural and unobtrusive; we capture the moments as they happen. 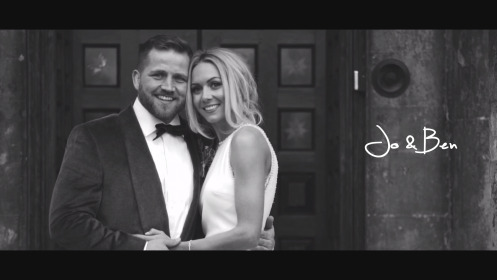 We create a beautifully edited wedding video that perfectly reflects your wedding day and brings it back to life in the best way possible - a stunning, creative, unique and fun wedding video. 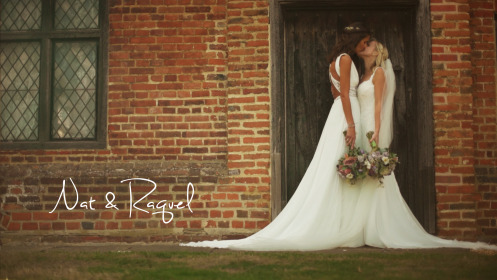 With over 10 years experience in TV and Film and exceptional knowledge of wedding videography, we are a team of creative and contemporary videographers who alongside beautiful and offbeat wedding videos have also made TV programmes for BBC, ITV, Channel 4, FIVE and Sky. We've been recommended by leading wedding industry experts including Brides magazine, Perfect Wedding magazine, Save the Date magazine, Mr and Mrs Unique and anyone else we've bumped into along the way. We're also recommended by highliy regarded suppliers and venues such as By Appointment Only Design, The Luxury Wedding Show, Jessie Thomson, The Cotswold Wedding Planner, Cranberry Blue Weddings, Lower Slaughter Manor, Elmore Court, Dewsall Court, Clearwell Castle, Berkeley Castle, The Lime Wood Hotel and many many more from all over the UK. Our wedding videography offices are near Cheltenham, Gloucestershire and we're always happy to travel throughout the UK, Europe and the rest of the world. We offer special wedding videography rates for weddings between October 1st & February 28th and for midweek weddings (Mon-Thu). Please contact us for these prices.